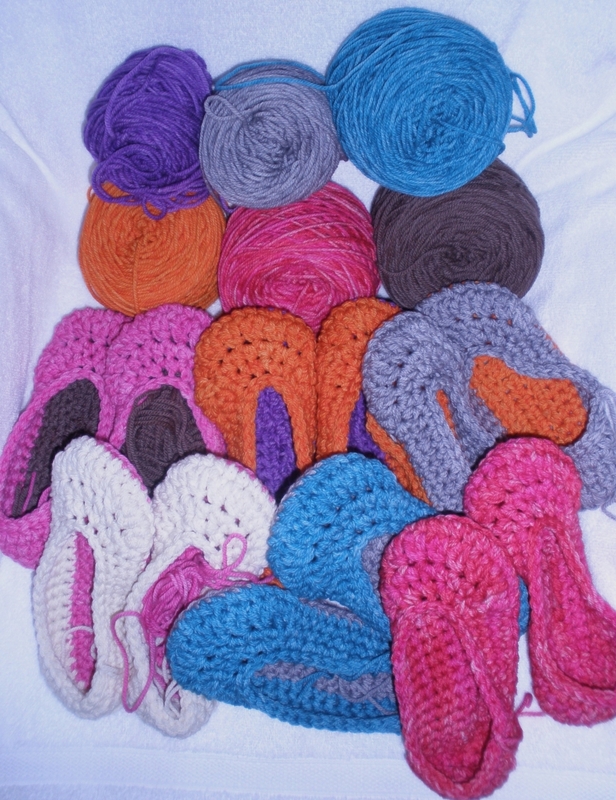 It’s another slipper making marathon! Crochet, using worsted weight yarn made from Targhee sheep wool that I hand dyed. I can proudly say the slippers are 100% Made in America! Available for purchase this Thursday at Palm Springs Village Fest.